Sparks & Shadows announces the release of the ANGRY VIDEO GAME NERD: THE MOVIE (Original Motion Picture Soundtrack) digitally on September 2, 2014. The soundtrack features original music by Emmy® Award winning composer Bear McCreary for the film based on the popular Angry Video Game Nerd web series. In addition to writing the original music, McCreary remixed two songs for the album, "Sacred Ground of the Golden Turd” and "The Angry Video Game Nerd Theme Song.” The band Young Beautiful in a Hurry contribute two songs, “Nerds Before Birds” and “Barcade.” Both songs were written by the band’s Brendan McCreary, who regularly collaborates with Bear on the TV series Defiance. 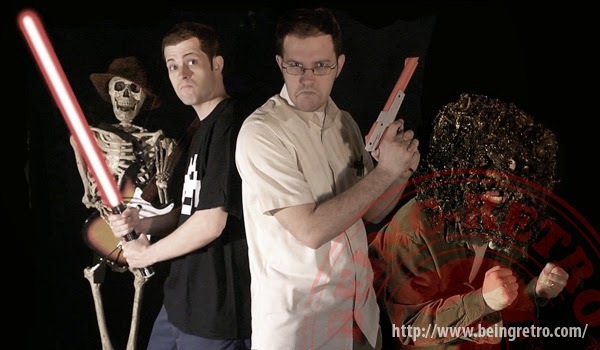 James Rolfe (aka “The Nerd”) brings his popular web series to life with ANGRY VIDEO GAME NERD: THE MOVIE. The Nerd became a web sensation with his angry and often foul-mouthed reviews of video games and pop culture. In 2011 The Nerd used his skills in viral marketing to launch a Kickstarter campaign to bring his web series to the big screen. The film is inspired by the famous Atari video game burial of 1982. Atari produced a game based on the biggest blockbuster movie of that year, E.T., and rushed it to meet the deadline for the Christmas shopping season. It was a commercial failure and millions of unsold game cartridges were buried in a desert landfill in Alamogordo, New Mexico. Coincidentally, it’s not too far from Roswell, the landing site of a different kind of E.T. The Nerd sets out on a quest to find and review this video game – finally giving his fans what they have long desired – and leading to hilarious consequences…. “The music combines a full symphonic orchestra, heavy metal rhythm section and custom sampled synthesis from NES, Super Nintendo and SEGA Genesis hardware,” McCreary described. “For this score, I got to live out all my musical fantasies, combining influences from my favorite video games and film composers that inspired me when I was a kid. Cinemassacre presents ANGRY VIDEO GAME NERD: THE MOVIE will be available on Video On Demand on September 2nd. 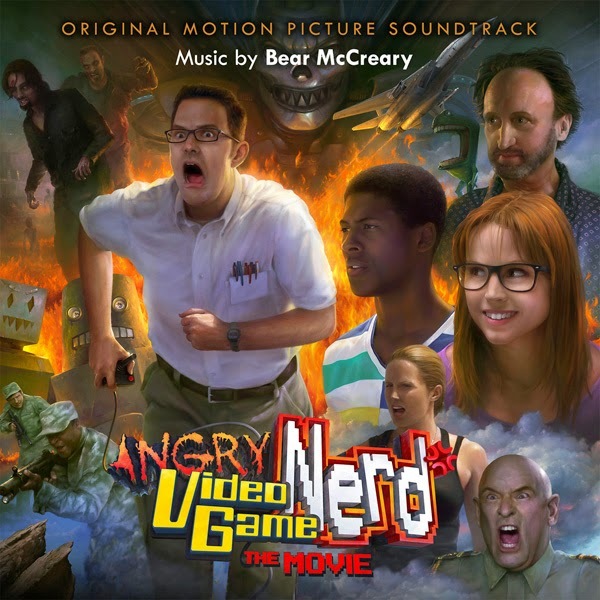 Sparks & Shadows presents the ANGRY VIDEO GAME NERD: THE MOVIE (Original Motion Picture Soundtrack), available digitally on September 2, 2014. Other releases from Sparks & Shadows include McCreary's two soundtracks for the series Da Vinci’s Demons (featuring the Emmy® Award-winning title theme), Black Sails (featuring the Emmy® Award-nominated title theme), Defiance, as well as motion picture soundtracks for Europa Report and Knights of Badassdom.